Choosing a hotel requires consideration of dozens of factors. Your suite will become your home away from home, and your base for a memorable vacation, so it pays to be picky. 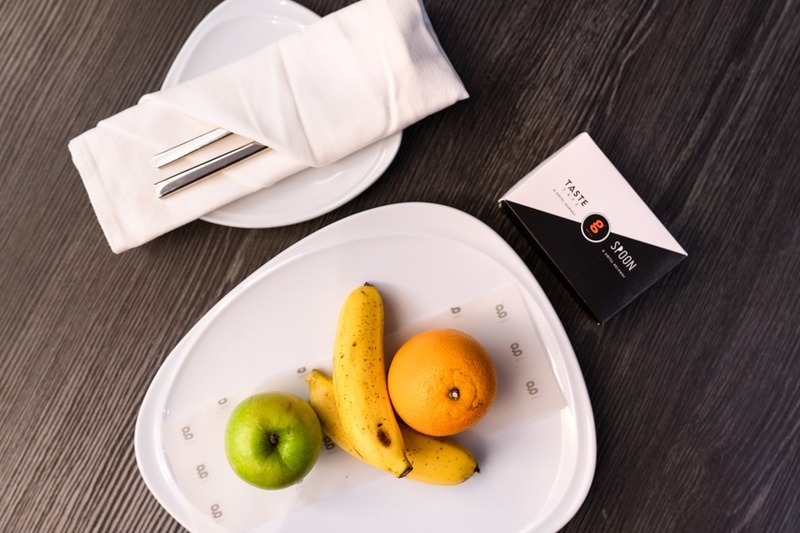 Perhaps your deciding factor is location, and you choose a hotel with a great view, and within walking distance of major tourist attractions and loads of delicious restaurants. But then the room is small and cramped, the bed is un-comfy and you end up wanting to spend all day out of the hotel, meaning you miss out on that all-important downtime. Maybe the room is more important to you so you pick a hotel with a spacious room, a comfy bed, a big TV, and maybe even a bathtub. Time to recharge is guaranteed, but what if there’s few restaurants around and it takes forever to reach the city’s best attractions? Your choice of hotel really needs to have the best of best worlds. To quote the popular 1985 movie, it needs to be a room with a view. That’s exactly what I found at the 5-star G Hotel Kelawai in Penang, Malaysia. As the old saying goes, you only get what you pay for, and hotel rooms are no different. If you want added luxury like a sea view, a lavish bed, a giant shower, and large TV… you have to pay extra for it. Not at the G Hotel Kelawai. The lovely folks here have decided to standardise a few luxury features in their hotel. 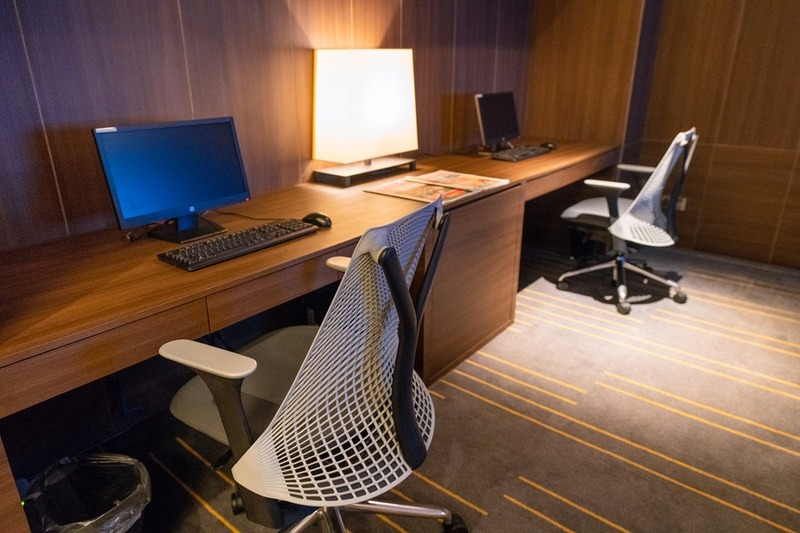 All rooms come with a huge 55-inch smart TV, an ergonomic Herman Miller office chair, and a super comfy cloud-soft bed. Oh, did I forget to mention that all rooms have access to the hotel’s 150Mbs internet connection? And each room can connect up to 8 devices? Thank you! Finally, someone who understands the tech habits of an average 21st century traveller. And all this in 5-star comfort from as little as US$85/night. Bargain! 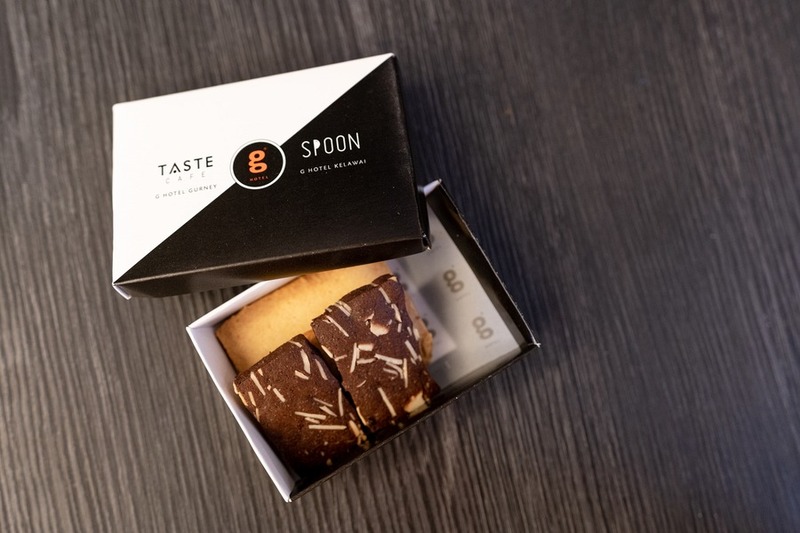 A complimentary welcome ice cream… Yum! Now that’s a sweet check-in. Free mini bar access, yes free. 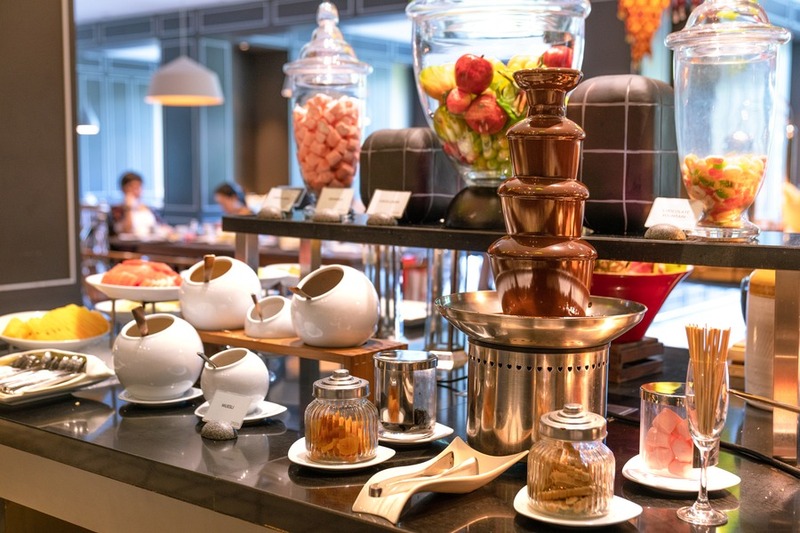 You can raid the chocolate and drinks as often as you like at the G Hotel. 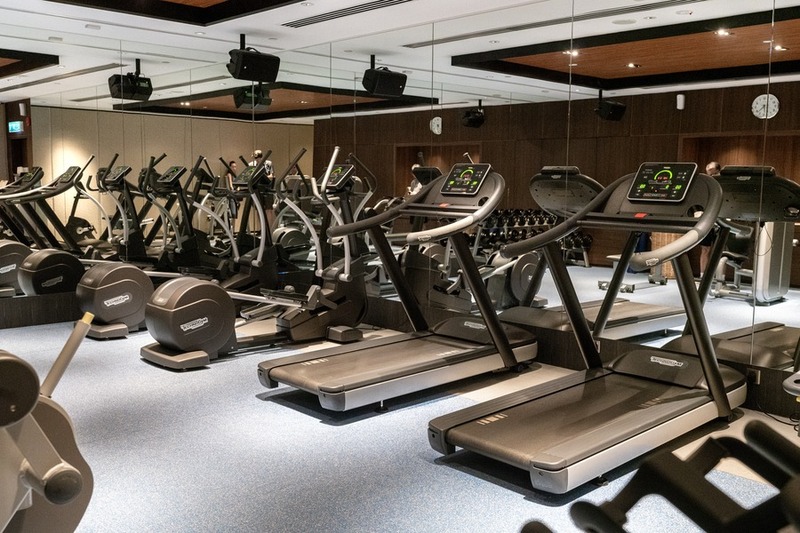 Access to the hotel’s gym with super modern equipment to work off those chocolate and soft drink calories. Life’s all about balance after all. Access to a shared working lounge with laptop space, computers to use, and free printing. 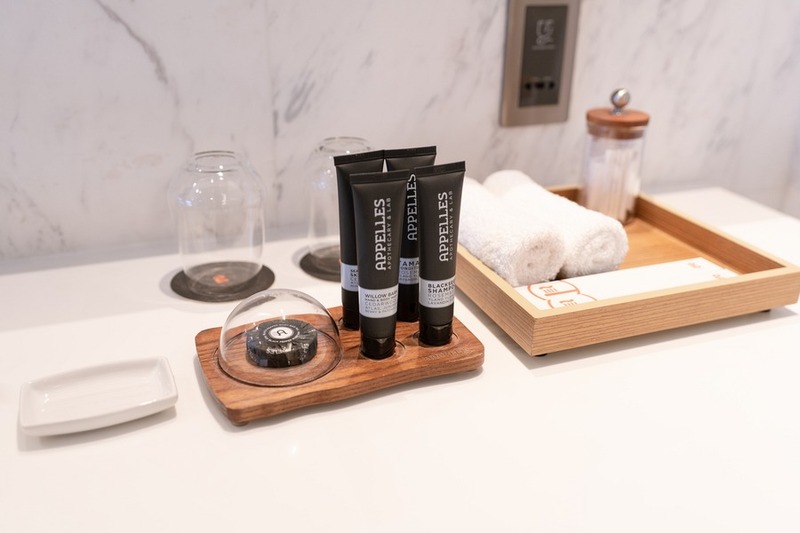 Eco-friendly, organic toiletries imported from Australia. The hotel’s shampoo, conditioner, soaps, and body lotions are made by Appelles with relaxing essential oils. Access to the hotel spa for a (paid) relaxing massage. Unlimited golf buggy rides between G Hotel Kelawai and G Hotel Gurney. G Hotel Gurney is just opposite the Gurney Plaza shopping mall if you’re seeking a little retail therapy. 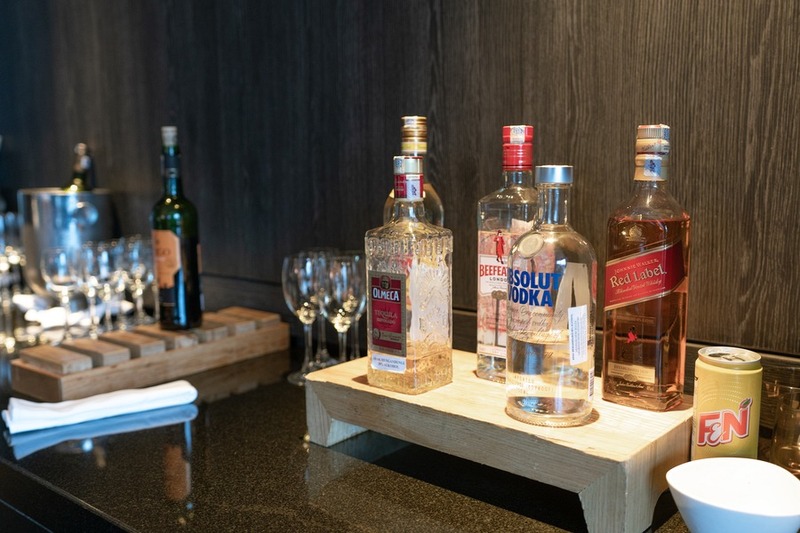 You can also access all of the restaurants and bars at G Hotel Gurney, including Tree Bar where you can enjoy three pints of beer for RM60 (about $20 AUD / 14 USD). There’s also a bus stop just out the front of G Hotel Gurney where you can catch the hop-on-hop-off bus and tour around Penang effortlessly (launched in November 2014). Buses run every 15 minutes and a 24-hour adult ticket will cost RM115 (27 USD) and children are RM50 (12 USD). A free hotel shuttle bus to the Georgetown UNESCO Heritage area on weekends and public holidays (needs to be booked in advance). There you can explore Penang’s famous street art, eat delicious cheap street food, visit temples, explore the Chinese Clan Jetties, and more. Free bike rental for those who’d prefer to cycle into the Georgetown UNESCO site or down to the beach. A massive ocean-front park called Gurney Wharf is under construction nearby which will be a great spot for cycling too. Tip: GrabCar (an Uber alternative) is very cheap option for getting around Penang, with a drive only costing a few dollars within Georgetown. I stayed in a huge Executive Premier room (45sqm / 484 sq. ft) with a stunning view overlooking the nearby mountains. I can’t decide whether my favourite thing about my hotel suite was the luxurious bathroom or perfectly comfy bed. The bathroom sported a refreshing rain shower head and a free-standing bathtub with relaxing bath salts. The bed consisted of a Serta Royal Platinum mattress which felt like I was sleeping on a cloud. I wanted to take that bed home with me. The complimentary fruit and cookies were also a nice touch. 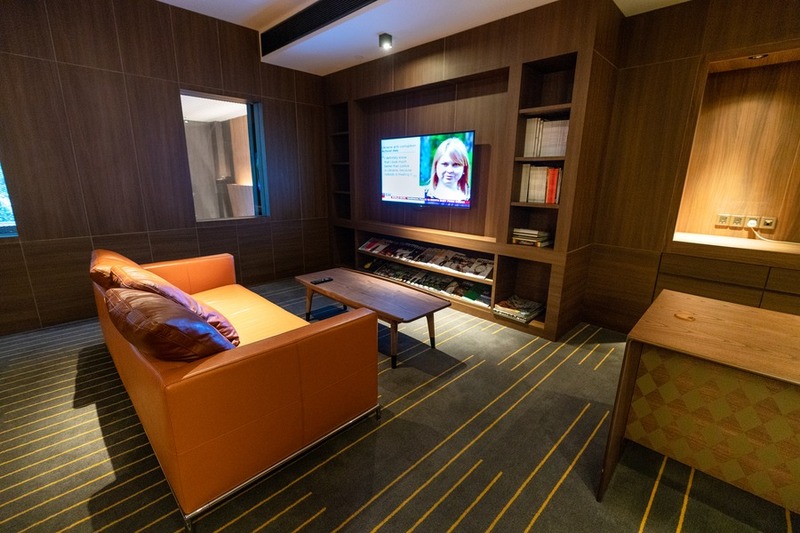 When you stay in an Executive Room or Executive Premier room, you also get access to the hotel’s Executive Lounge on the 24th floor. Free cold drinks, tea and coffee is served in the lounge all day but the best thing about the lounge has to be the complimentary canapes and beer, wine, sparkling, basic cocktails and spirits from 6pm to 8pm. Yes, free! Lounge access also means you get two choices for breakfast. 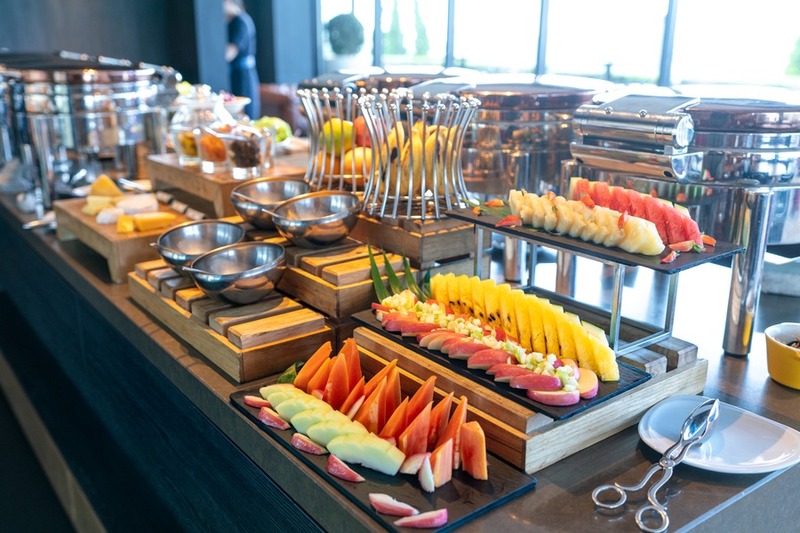 There’s the hotel’s main restaurant, Spoon, which puts on a large buffet breakfast with every type of breakfast food you can dream of, even chocolate fondue. Yes, that’s on my list of breakfast foods. Don’t judge me. 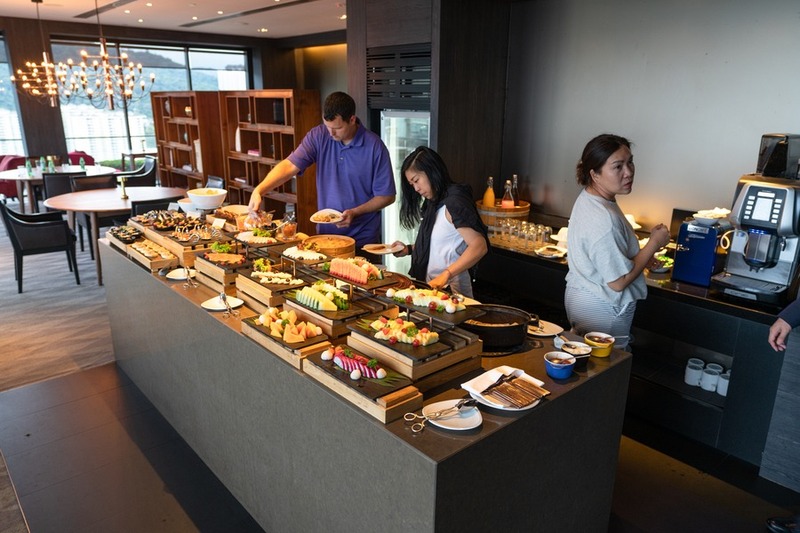 If you’d prefer a quieter breakfast time, the Lounge puts on a small buffet breakfast with fresh fruit, bakery items, classic Asian dishes, salads and breakfast foods like baked beans. But you also get a la carte choices of freshly cooked eggs, pancakes, or French toast. 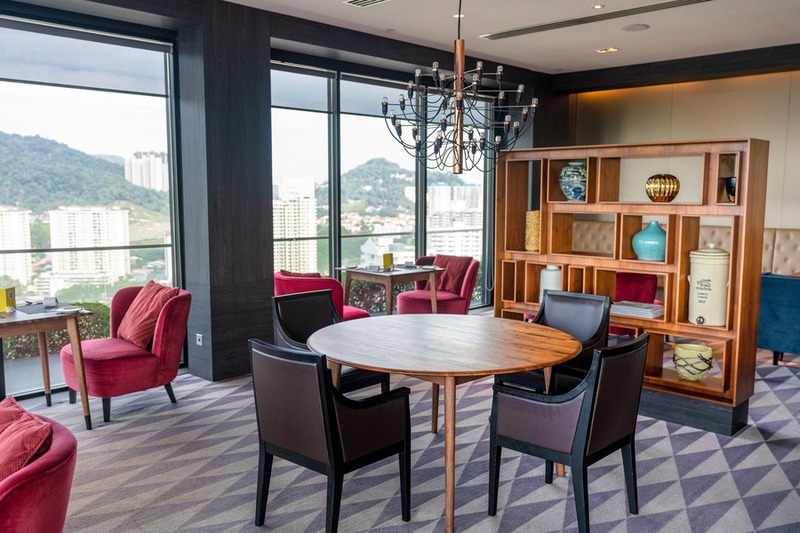 The best thing about the Executive Lounge is the view overlooking Penang, the pearl of the orient. You don’t have to be an executive guest to be treated to this view though, the hotel’s pool is also on the rooftop. What better way to relax than by the pool, with a cocktail, looking out over stunning mounting ranges on one side, the ocean on the other, and the iconic UNESCO heritage Georgetown all around. The hotel’s pool bar and restaurant, Gravity, is also open to the public so locals or guests from other hotels can enjoy the delicious food, colourful cocktails, and panoramic views from 5pm until late. 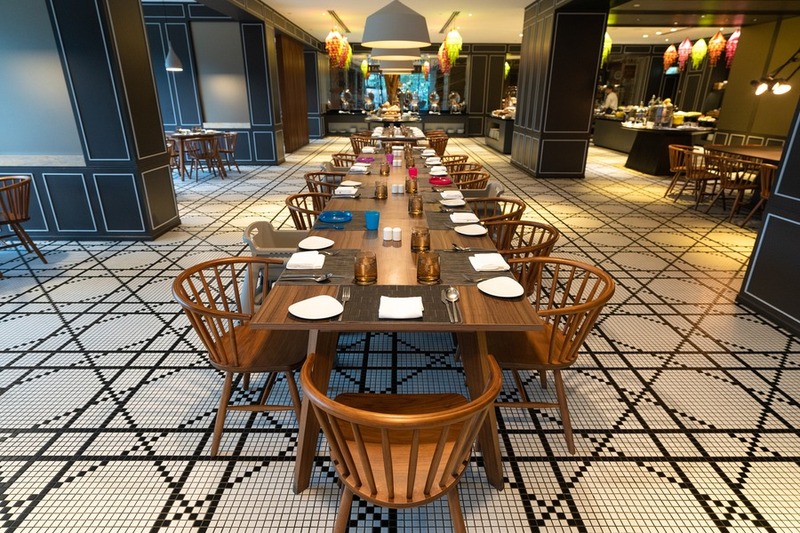 One level up is the hotel’s function area, Beyond Gravity where 30-50 people can easily mingle for a business get-together or family celebration. Afternoon tea is served in another restaurant called 2pm, but I didn’t try that. 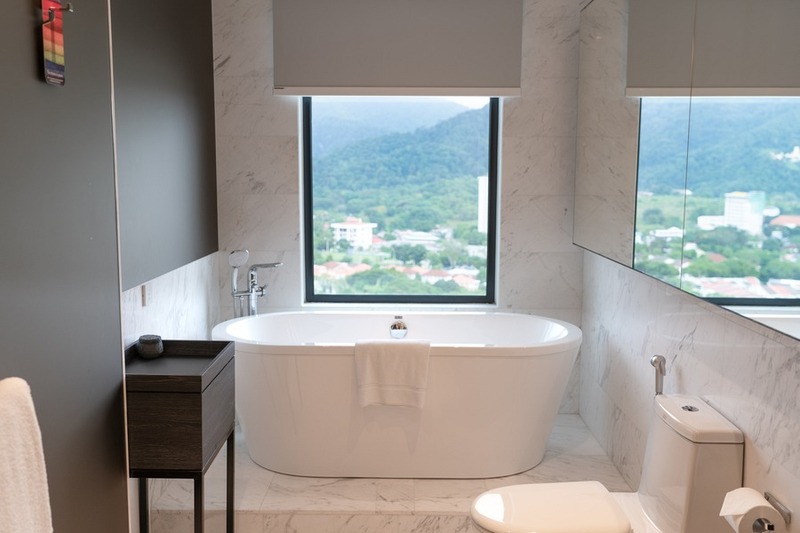 Whether business or leisure brings you to Penang, you really can’t go wrong with choosing to stay at the G Hotel Kelawai. 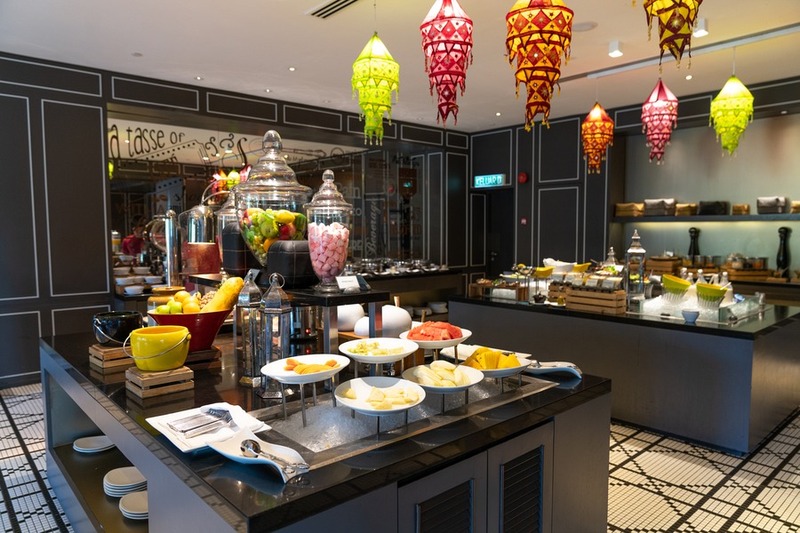 This hotel is straddled by two shopping malls and a short walk to Penang’s famous street food at Gurney Drive Hawker Centre. There are handy transport options to get you around the city if you can bring yourself to leave the comfort of the hotel. 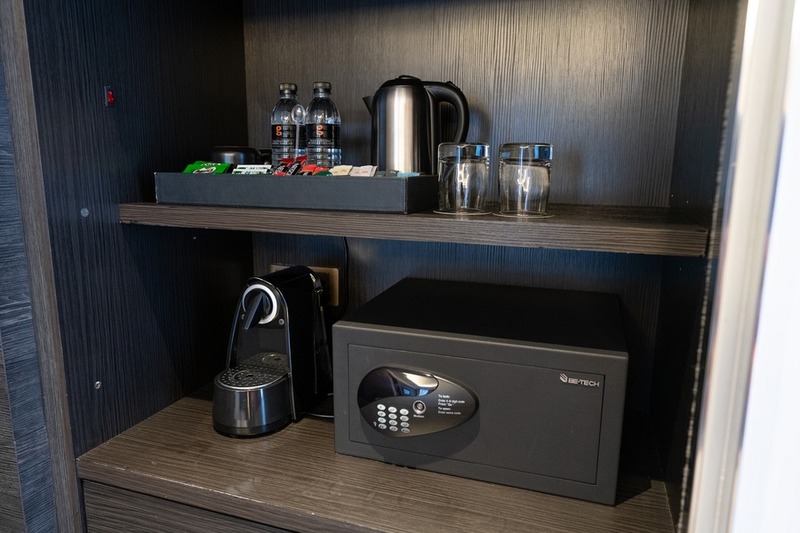 And even if you can’t afford the top-of-the-range room, you don’t have to miss out on the hotel’s best features. Everyone is a king (or queen) at G Hotel Kelawai.